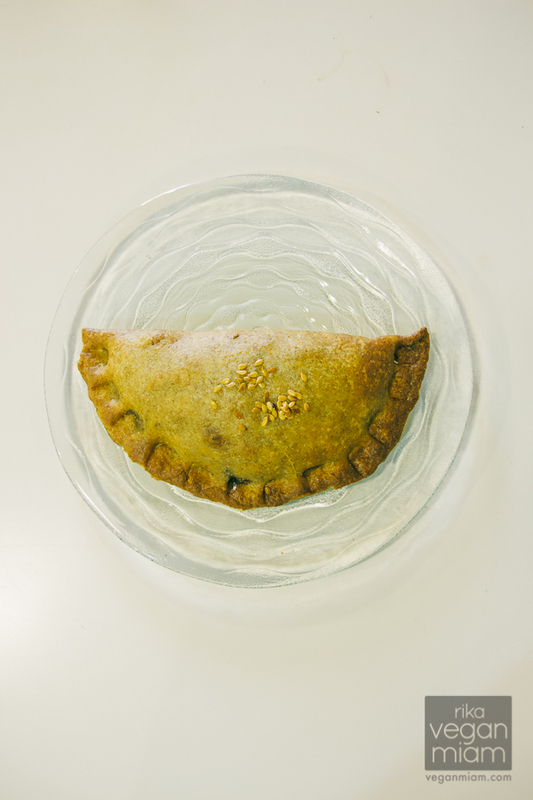 Few days ago, I wrote about the vegan empanadillas from the cute cafe at a grocery shop, Herbolario Navarro (if you miss the post, read here). Apparently the cafe is known as, “Cafetería Navarro”; I had difficulty finding the name of the cafe in my previous post. 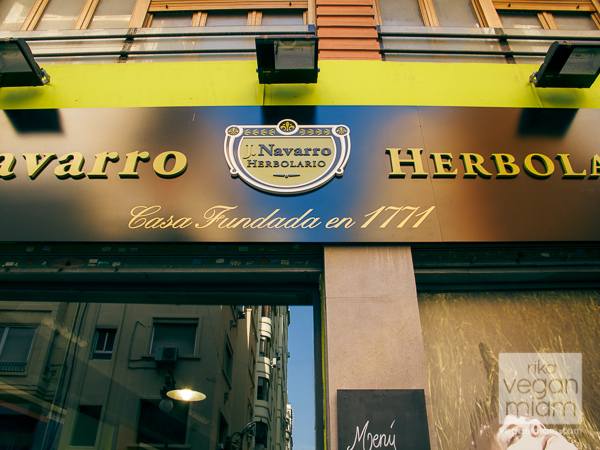 Cafetería Navarro offers Menú de Mediodia Vegetariano €10 (Vegetarian Menu Set after 1pm) which includes starter, main course, dessert and beverage (coffee or tea). 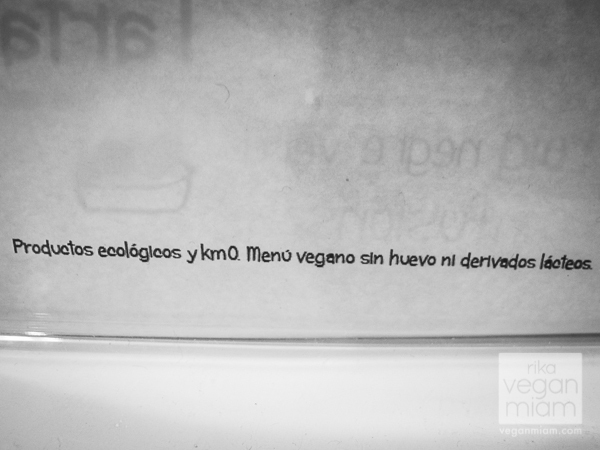 At the bottom of their Vegetarian Lunch Menu signage, it said, “Productos ecológicos y km0. 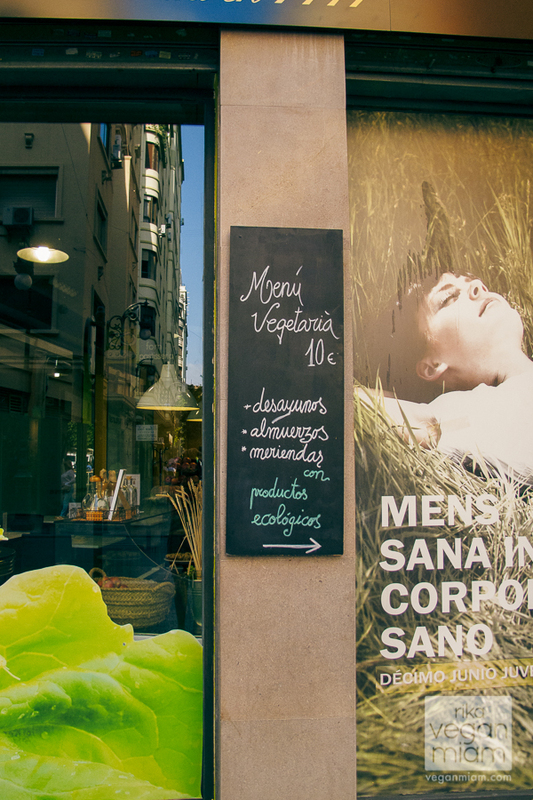 Menú vegano sin huevo ni derivados lácteos”, which means Vegan Menu without Eggs and Dairy. 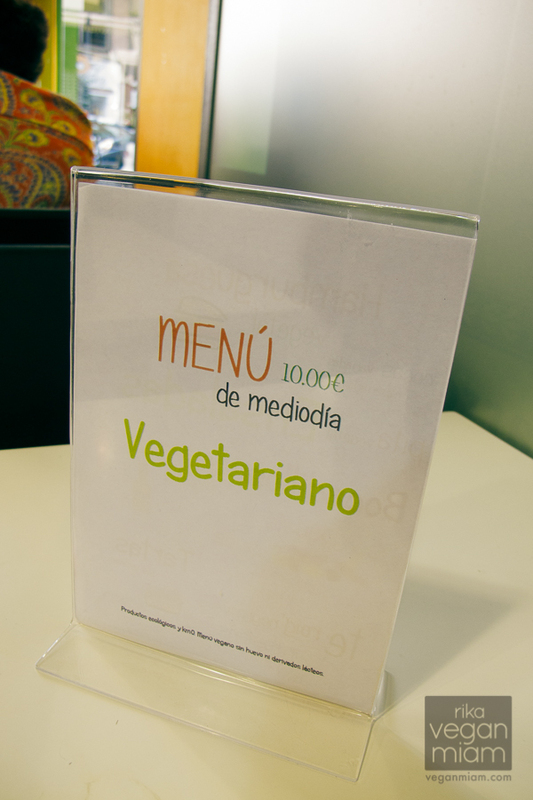 After contacting Herbolario Navarro yesterday, I am confirming that the Menú de Mediodia Vegetariano €10 is all vegan from Monday to Saturday. 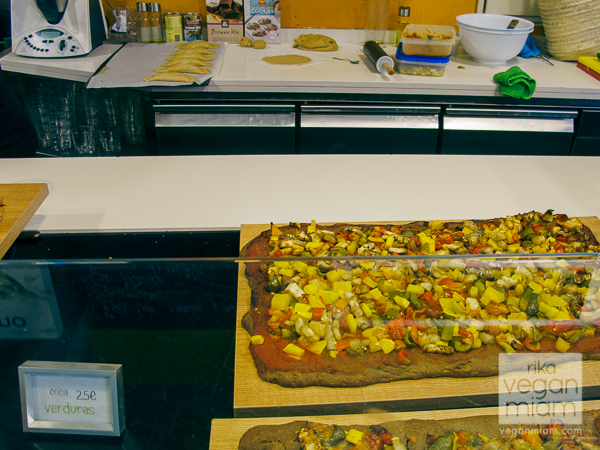 Also the vegan baked empanadillas are all organic and and made with spelt flour, not wheat! 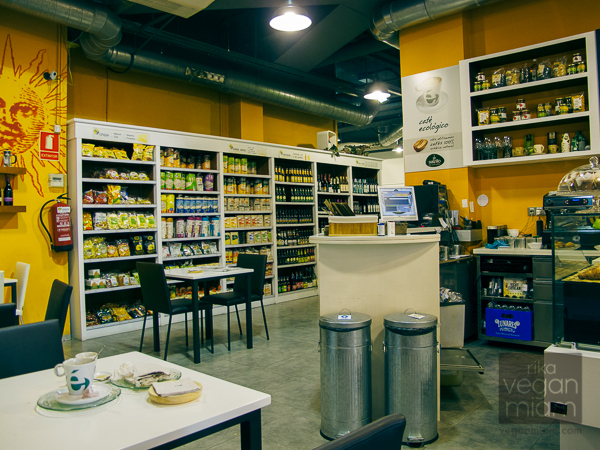 Cafetería located at Calle San Vicente 63 is open from 9:00am – 8:15pm Monday to Friday and Saturday from 9:30 am – 8:15pm. 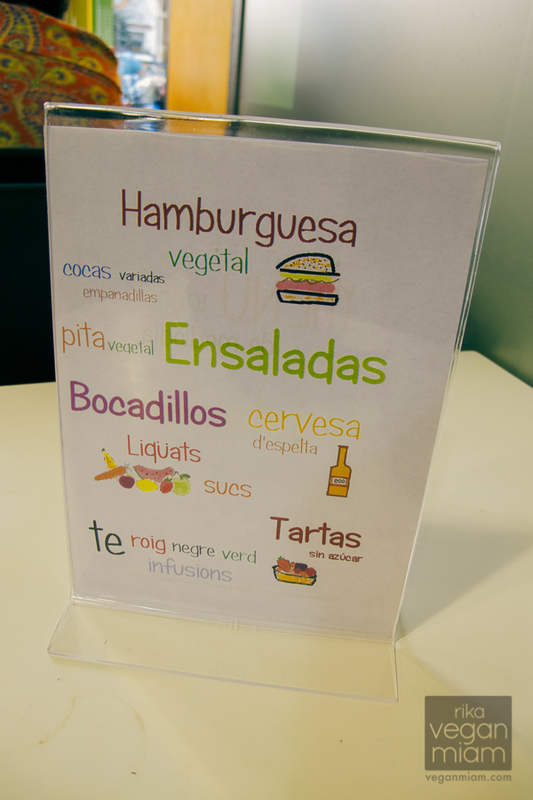 On their Vegetarian Lunch menu, they have vegetable burger, varied empanadillas, vegetable pita, salads, snacks, beer, juices, smoothies, sugar-free tarts, and tea (roig, black and green). I wish I can try their lunch menu, but I leave tomorrow at my flat. They also have a Gluten-Free Vegetarian Menu every Wednesday. 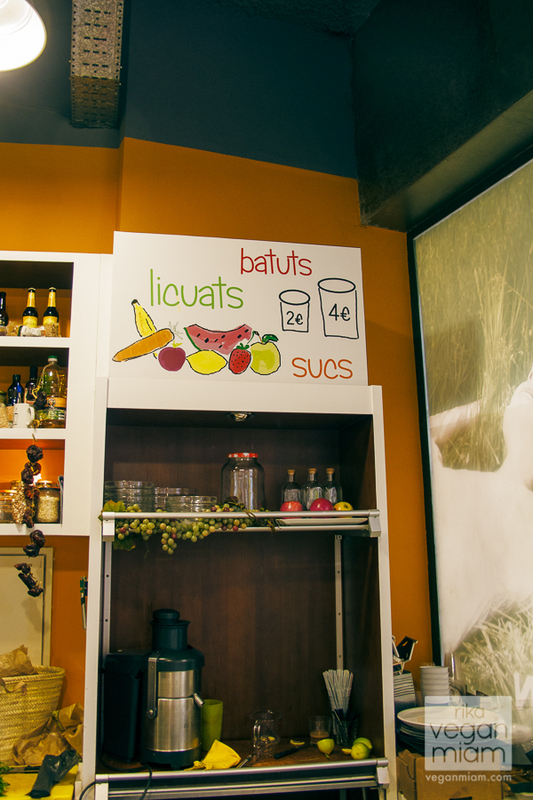 Also they have natural fruit & vegetable juices and smoothies for €2 (small) and €4 (big), to go or for here. You can pick up the vegan empanadillas any time in the day, except for the Vegetarian Menu Set, which starts mid-day (after 1pm). Cafetería Navarro: This is the cafe, off Calle San Vicente. 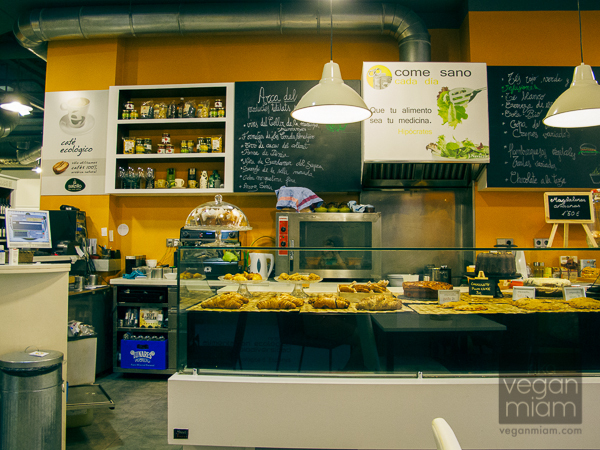 Cafetería Navarro: You will see the vegan empanadillas on the right in the display. 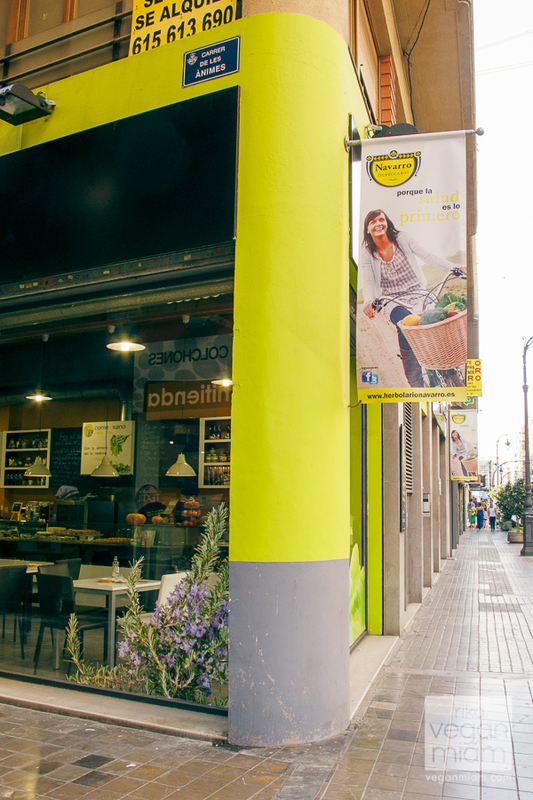 Cafetería Navarro: You will see the connecting grocery shop, Herbolario Navarro. Once you leave the cafe, it is massive and modern. Cafetería Navarro: Menú de Mediodia Vegetariano €10 (Vegetarian Menu Set after 1pm) which includes starter, main course, dessert and beverage (coffee or tea). Cafetería Navarro: At the bottom of their Vegetarian Lunch Menu signage, it said, “Productos ecológicos y km0. 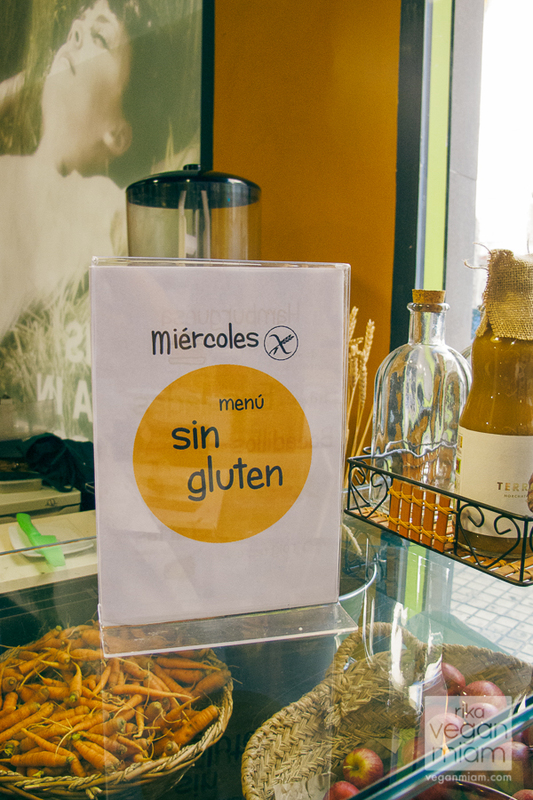 Menú vegano sin huevo ni derivados lácteos”, which means Vegan Menu without Eggs and Dairy. 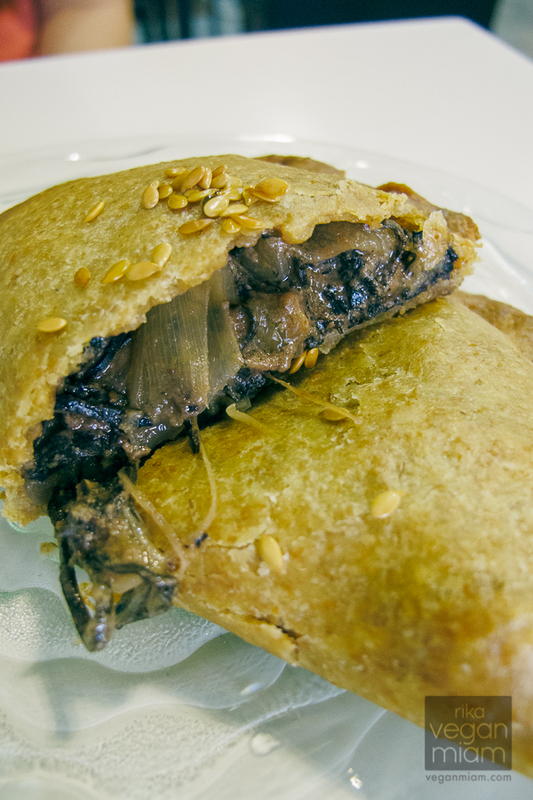 Cafetería Navarro: I tried the Empanadillas de Algas (Algae Empanadilla), which was beyond tasty…and delicious! I also tried their Pisto (Spanish Ratauoille) and Smoked Tofu Empanadillas, they were also pretty good. But the Algas was my favorite – it has algae/seaweed strips, onions and miso sauce. The empanadillas are organic and made with spelt flour. question of the day: have you ever had algae? what is your favorite empanada filling? 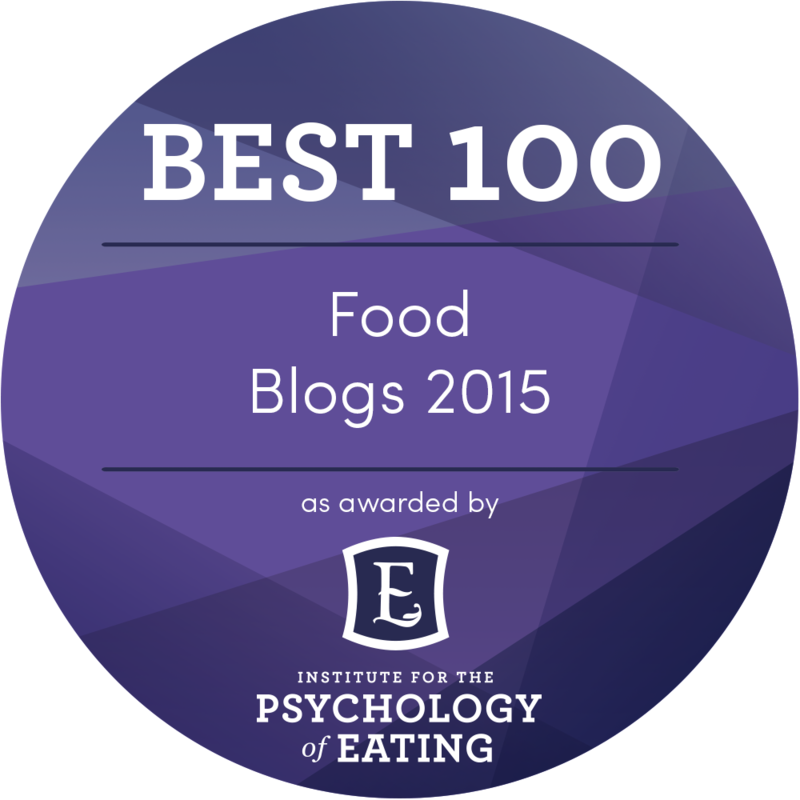 what is your favorite dish using miso?